I also decided not to rank them, as it was a bit of a slower year in music for me, and although there were albums I was more excited about coming out, at the end of the year I can’t pick a single favorite. They disbanded in 2004, right before I got into them, but like almost every important music act that’s been together 20+ years and breaks up, there’s an inevitable reunion album and tour. 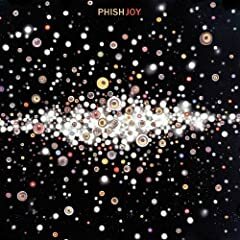 With Phish, they didn’t miss a beat with “Joy,” the band still sounds like they never left each other’s musical company. The album is a good mixture of upbeat and mellow tracks, with a typical short, bluesy and jokey song as well – “I Been Around,” featuring vocal stylings of keyboardist Page McConnell answering a simple question of “where have you been?” Produced by and old friend to the band, Steve Lillywhite, who also has a hand in producing another album on this list. More on that later. Another band I got into way late in the game (hadn’t really appreciated them until seeing them at Bonnaroo in June of 2008), “Backspacer” was a little unexpected – Apart from the single “The Fixer,” the album as a whole is a bit more mellow than what they’re known for. I’ve likened it in a way to Foo Fighter’s more recent albums, namely “Echoes, Silence, Patience & Grace” – still has the band’s essential sound, but especially with the end of the album, it’s something you can relax to, not necessarily something you can work out to (like I was expecting upon first gym listen). This one comes with a disclaimer – I am not unbiased choosing this as my fourth album of the year. I’ve been working with the band for 7 months and watching them record these songs, so they’ve been with me for longer than the average fan. In fact, before working for them I would not consider myself a fan at all, and had to be reminded that songs like “A Beautiful Lie” and “The Kill” were in fact theirs. 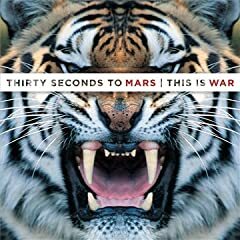 Now, after hearing 7 months worth of songs from “This is War,” I can consider myself a fan, and despite having heard the songs numerous times before, still like them when I hear them. If you haven’t heard it, check it out – the band does a great job of stepping forward into a broader world, both lyrically and musically. No longer just a band that can do a heavy, guitar-driven all out rocker and a softer, lighter waving ballad, Thirty Seconds to Mars now can add synth-driven, techno-club rock to their repertoire of songs as well. 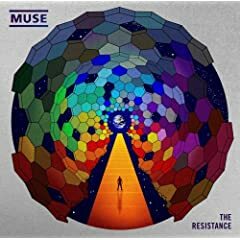 Songs like “Night of the Hunter,” “Hurricane” and “Stranger in a Strangeland” feature heavy synths, produced with help of legendary British producer Flood, who’s personal synth was used (and donated) to the band on the album. Also lending his producing prowess to the album, specifically with new single “Kings and Queens,” – yup, “Joy” producer Steve Lillywhite. Leading off with the same voiceover that leads off the movie “This is a story of boy meets girl, but you should know up front – this is NOT a love story,” the soundtrack for one of the best movies of the year (more on that in a later post) features songs from the film that not only capture the theme of the story, but the emotion of it as well. Most of the songs are prominently featured in the movie, some on multiple occasions throughout. Most notable is Hall & Oates’ “You Make My Dreams,” which accompanies a glorious choreographed number mid-film. Regina Spektor’s “Us” is another track that can be heard throughout the film, and has a strong connection to the story and emotion of the main characters. The Smiths, who play a part in the romantic backstory of Summer and Tom, are featured on a couple tracks in the soundtrack as well. 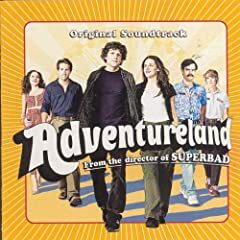 Another soundtrack that captures the mood and theme of the film it’s linked to. The film set in the 1980s, and features popular alternative rock artists from that time period. As the movie itself is somewhat of an alternative coming-of-age 80s story, the soundtrack reflects it. Perhaps its the fact that this 80s movie was made in the late 2000’s and serves as more of a nostalgic look back than a time capsule snapshot like the popular Brat Pack films of the 80’s. Similar to “500 Days,” a band that plays a part in the film is also prominent on the soundtrack – namely Mr. Lou Reed’s “Satellite of Love,” as well as the Velvet Underground song “Pale Blue Eyes.” David Bowie, The Cure, New York Dolls and Husker Du also grace the album with their presence. Click the images to go straight to Amazon.